Our Power Lift for Men is tailored to the male’s skin needs which could be shaving-related, such as razor burn, or other conditions like skin sensitivity, enlarged pore structure and dullness. But also the troubled acne skin and skin conditions related to aging are treated excellently with the use of Team Dr. Joseph products. 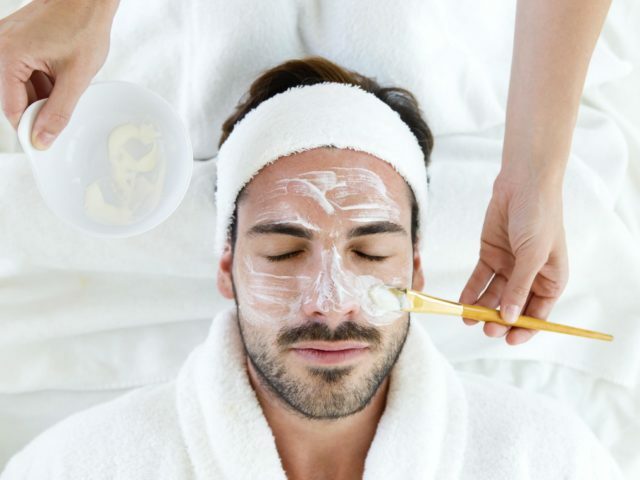 A Power Lift for Men at Five City Spa includes a skin analysis, a massage stimulating the lymphatic system, warm herbal compresses; peeling; deep cleansing; special serum; an intensive mask with facial massage, and finally, individual daily skin care. Natural high-tech power for a powerful and well-groomed appearance. We recommend to have a Power Lift for Men every 6-8 weeks for optimal results. When well-aging is your goal, the Advanced Bio Lift including deep tissue massage is recommended.